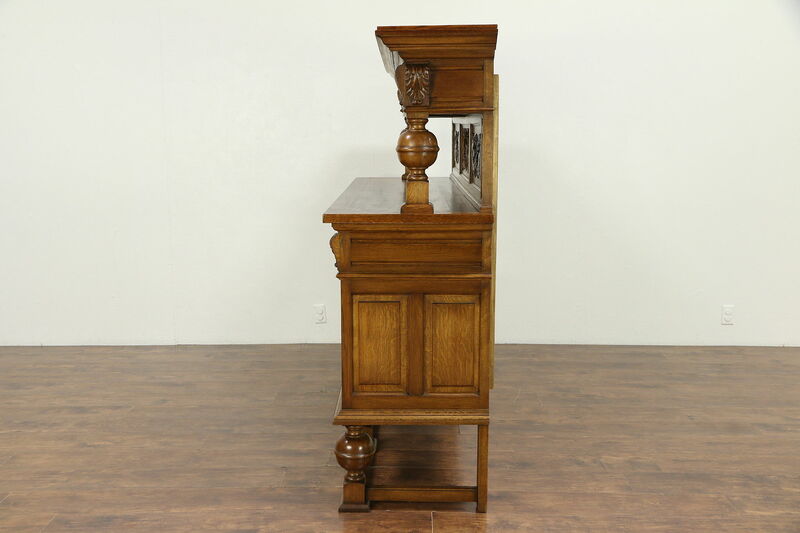 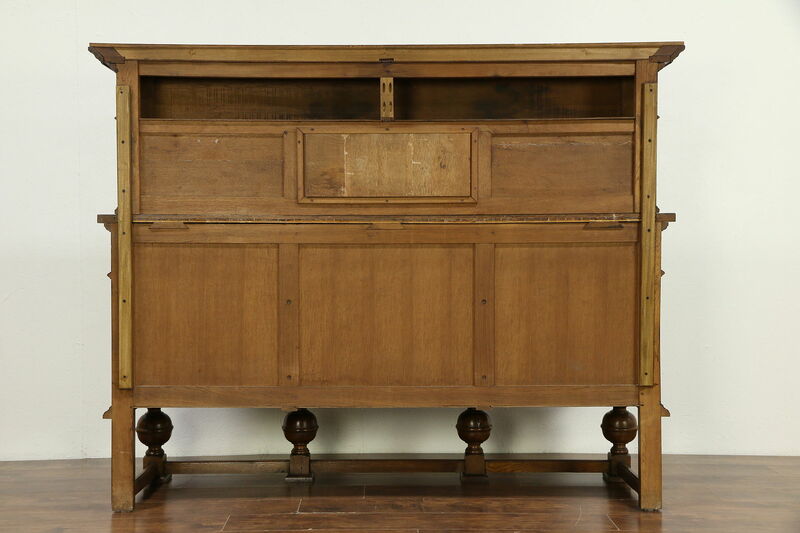 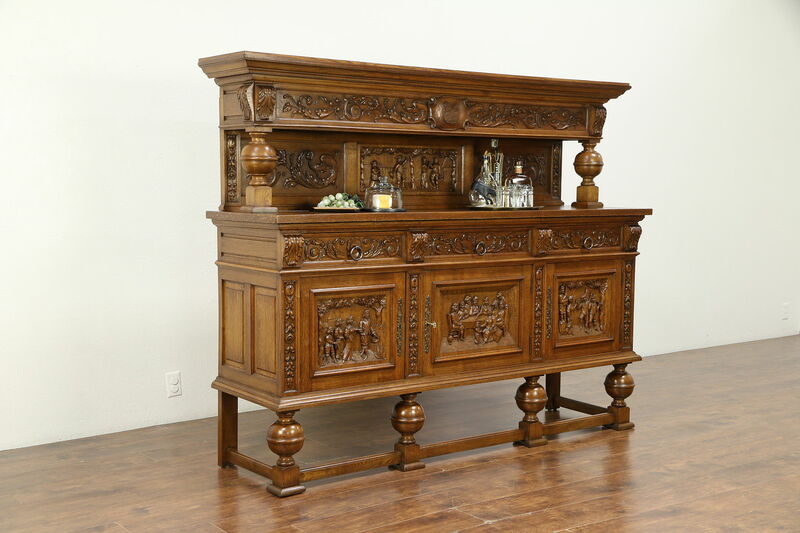 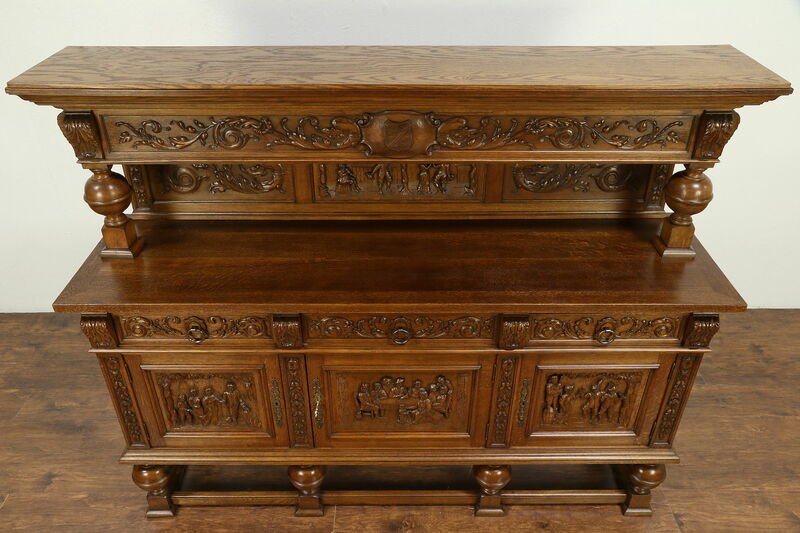 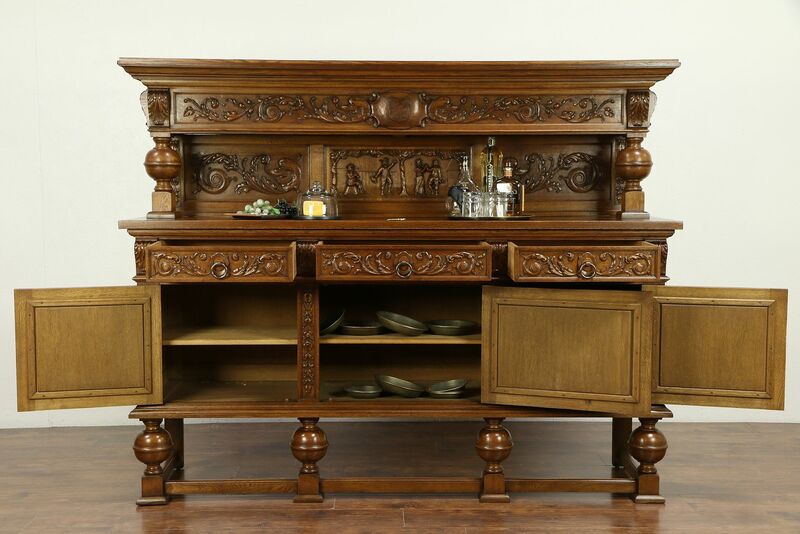 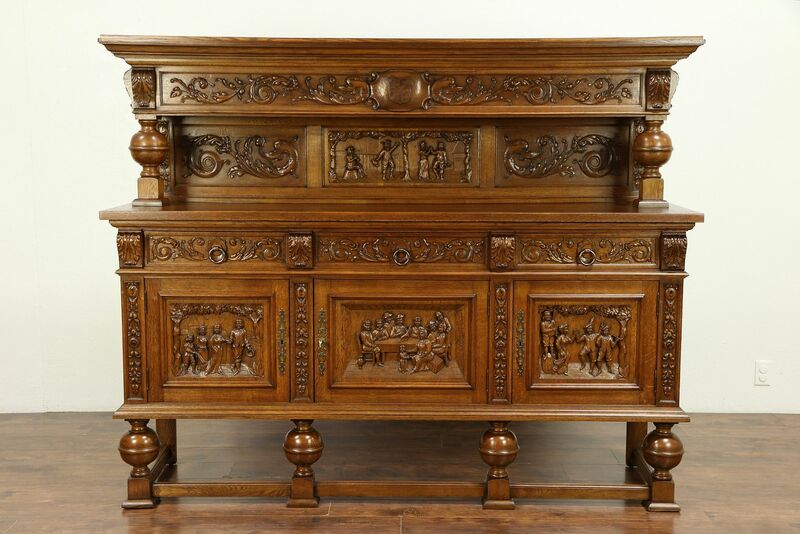 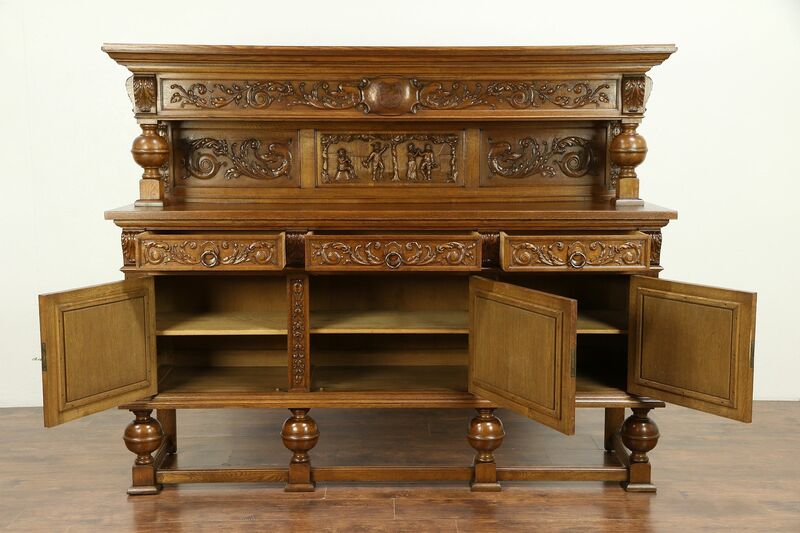 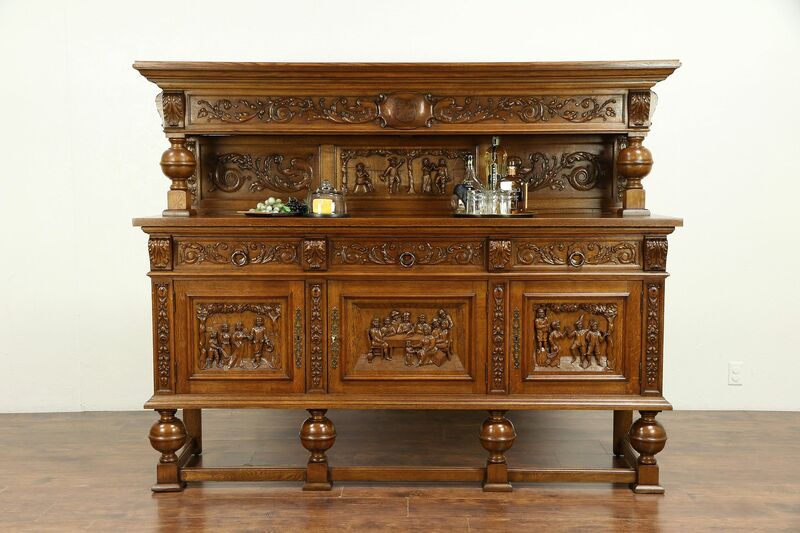 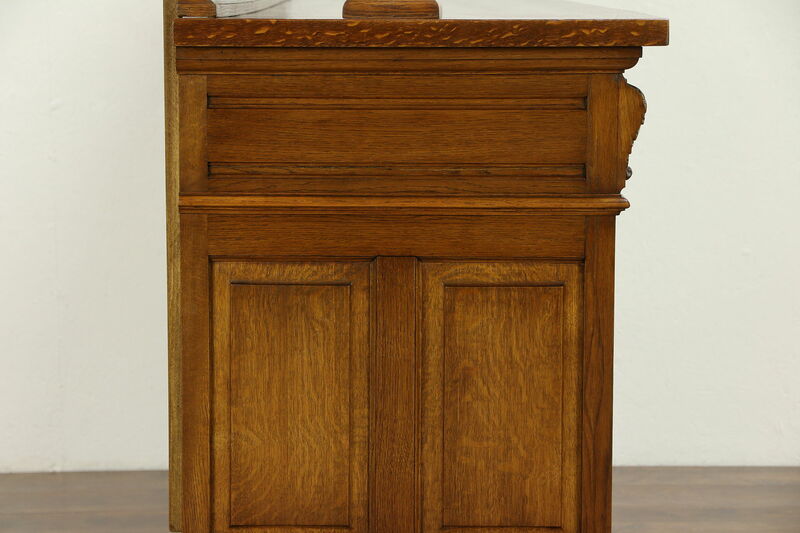 A solid oak sideboard or back bar cabinet from about 1920 was hand carved in Denmark with Renaissance scenes of village celebrations and dancing, a family crest and dragons. 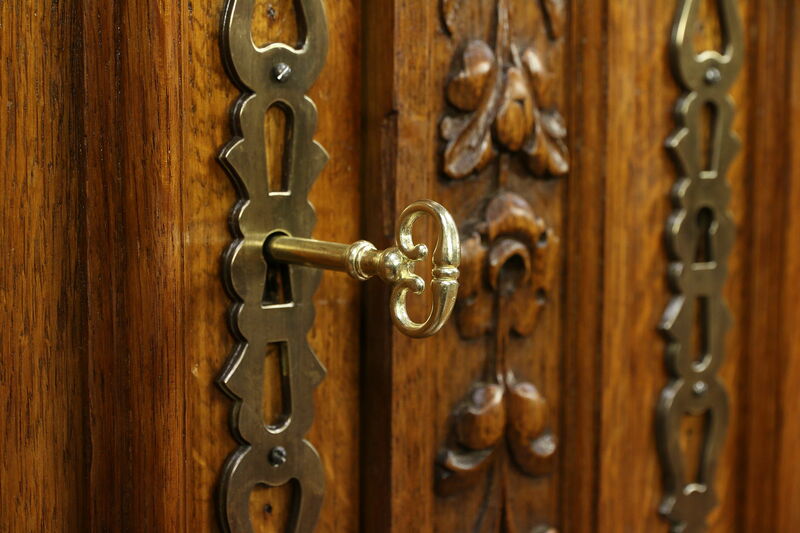 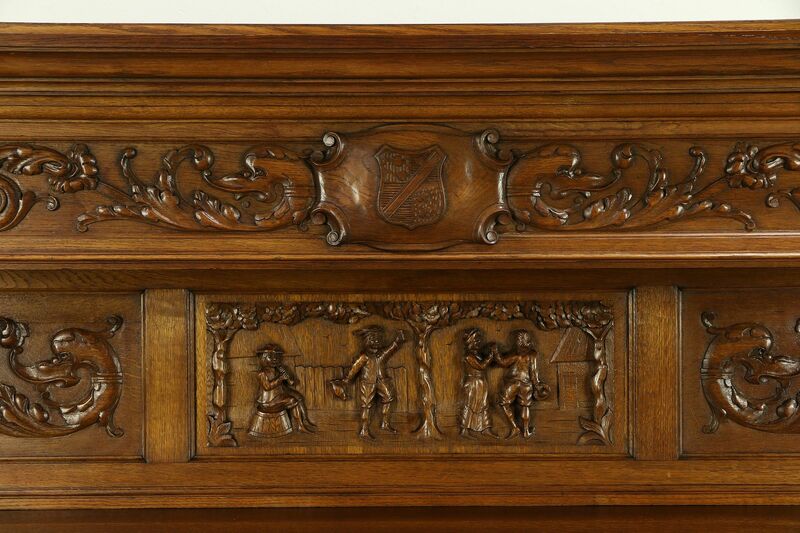 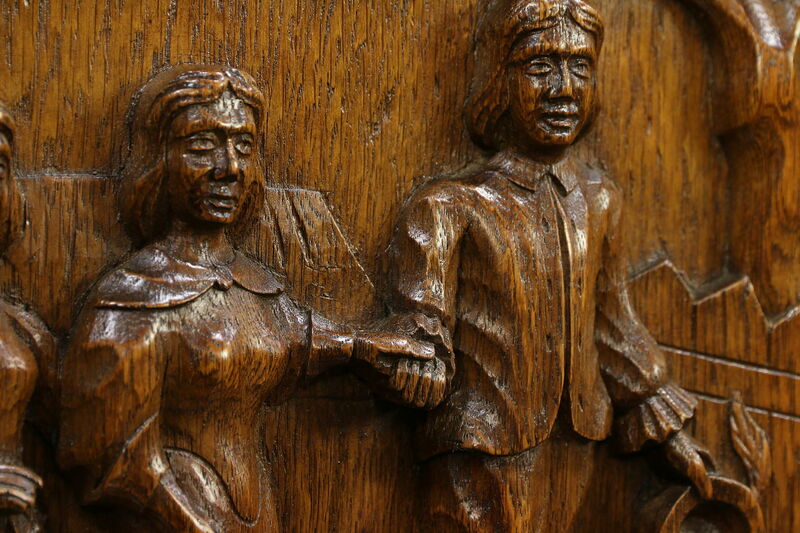 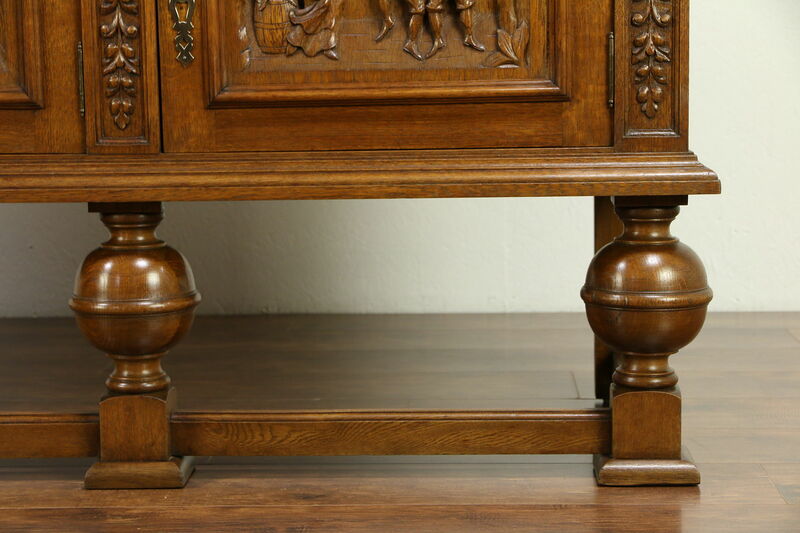 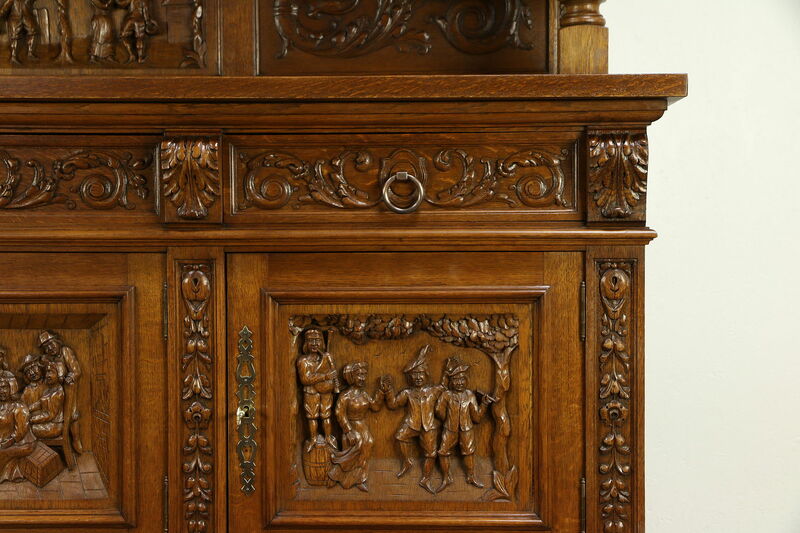 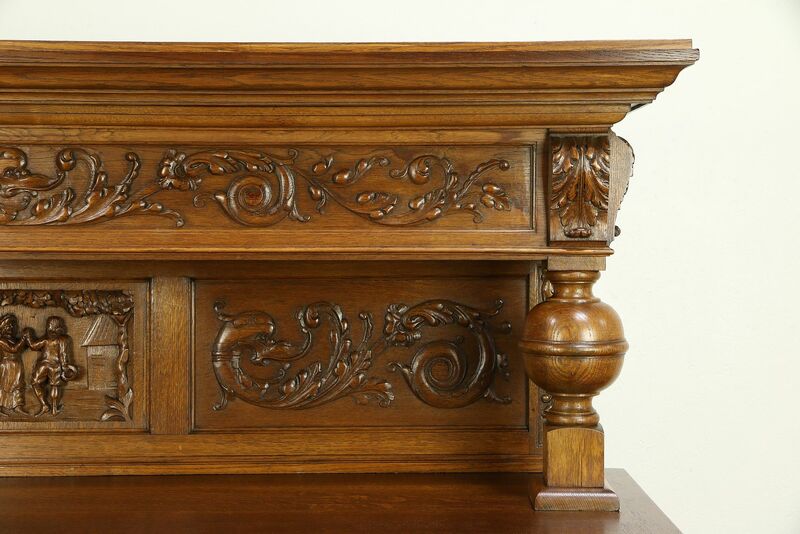 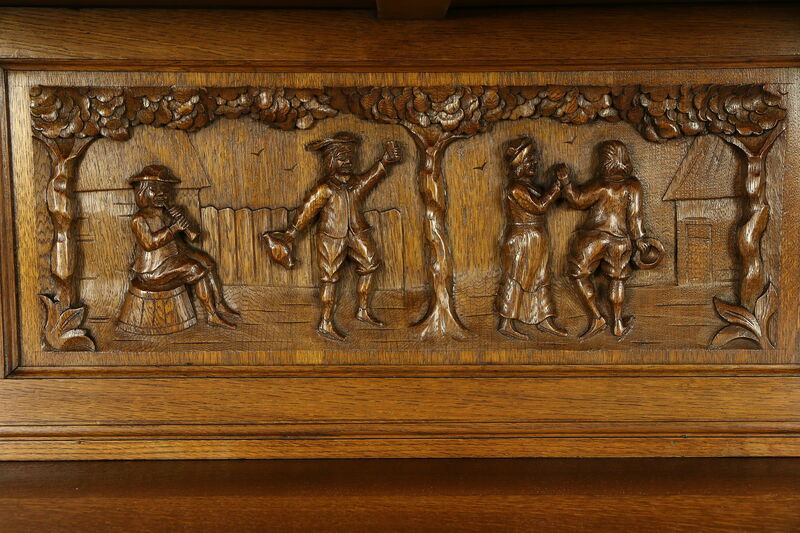 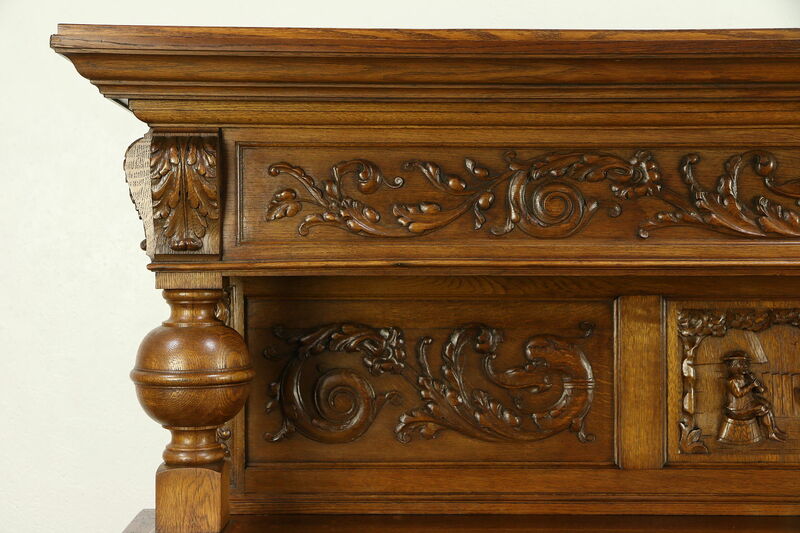 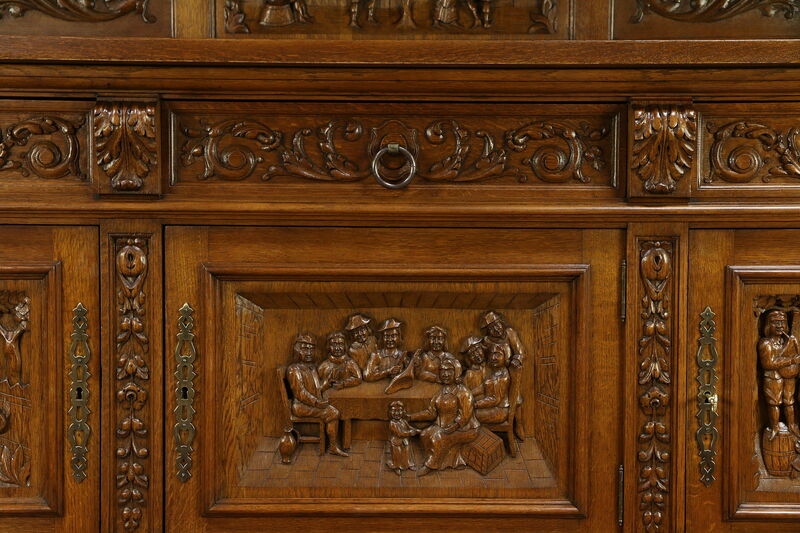 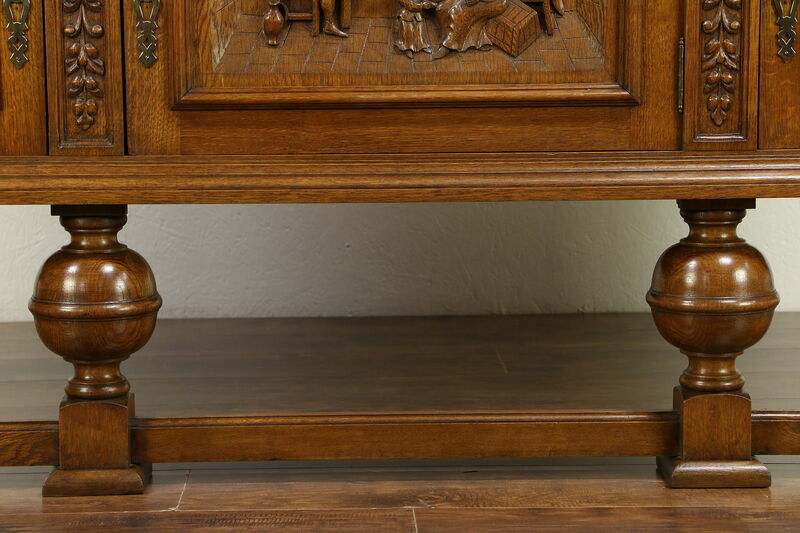 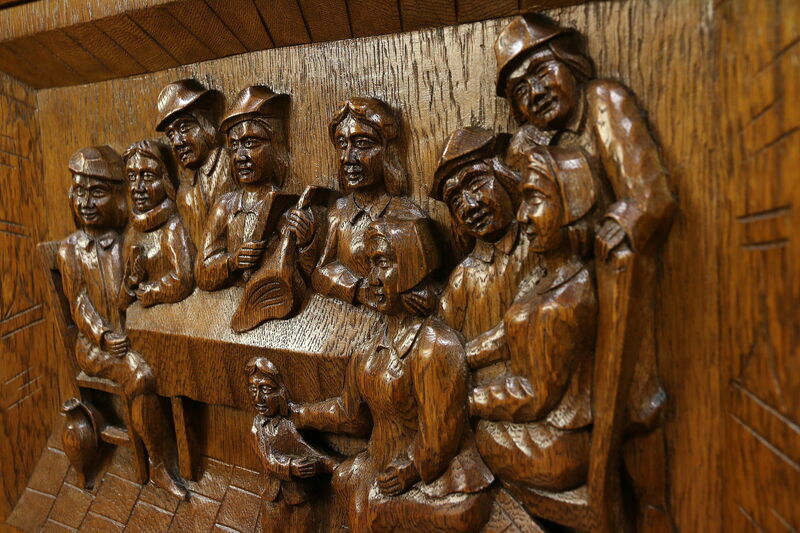 The high relief panels show masterful artistry on this antique Scandinavian furniture. 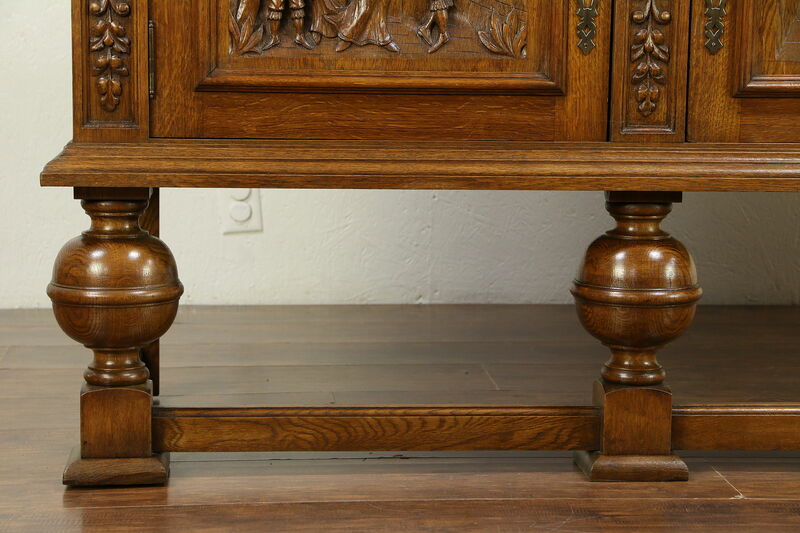 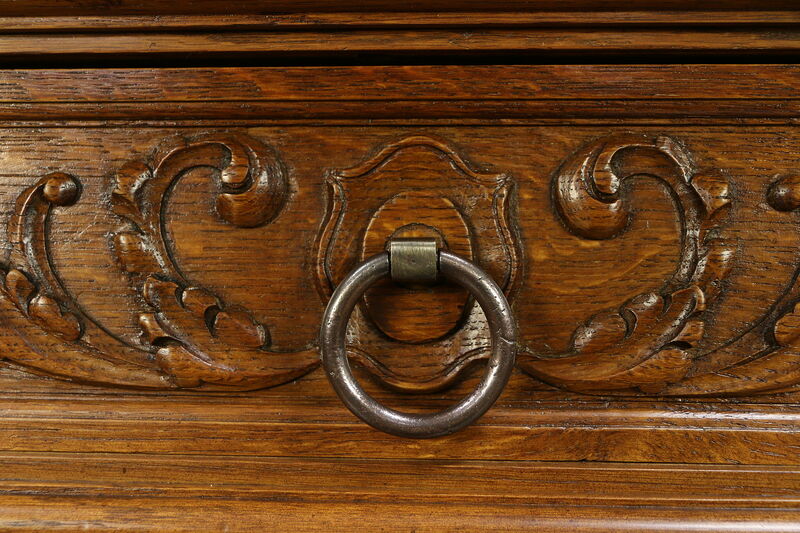 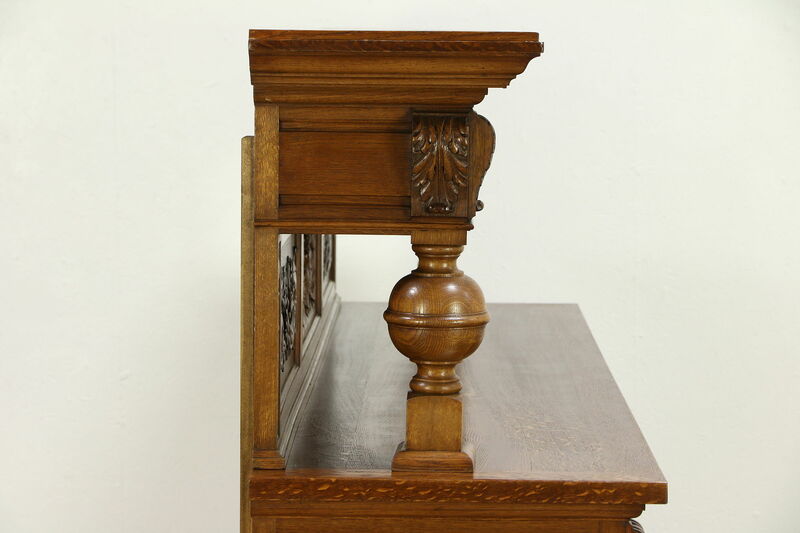 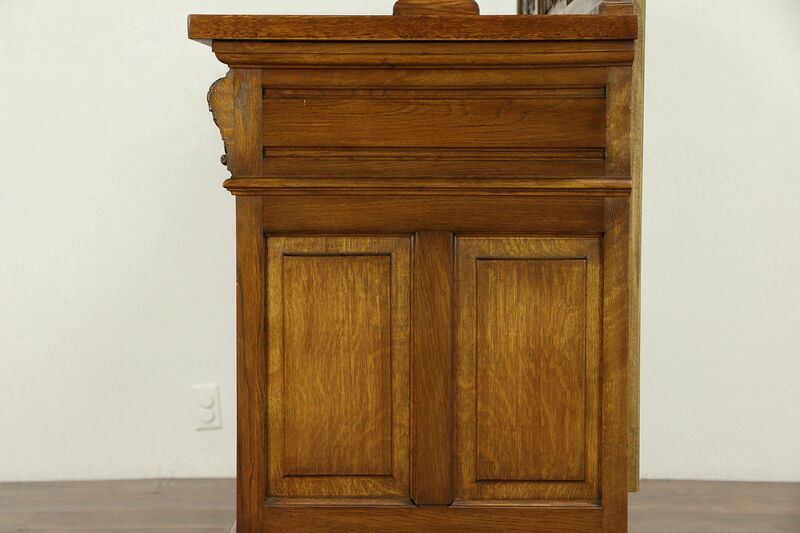 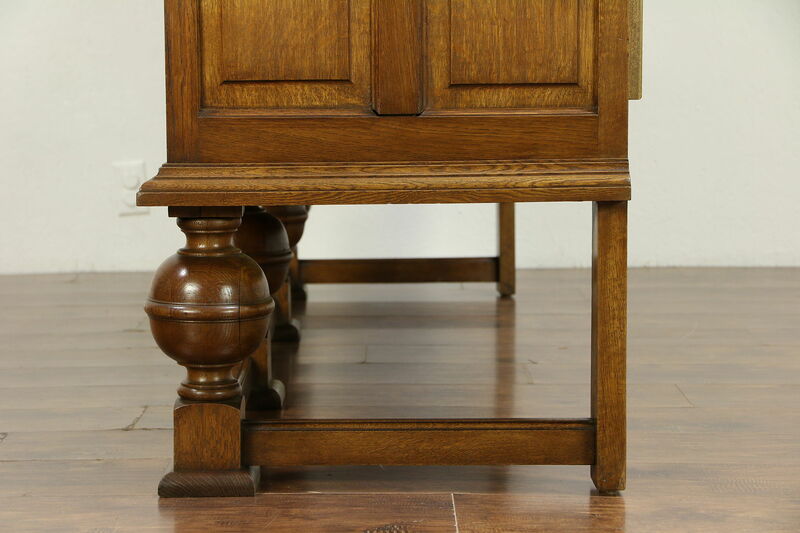 The tops have been revarnished for durability, the rest of the original finish is very well preserved. 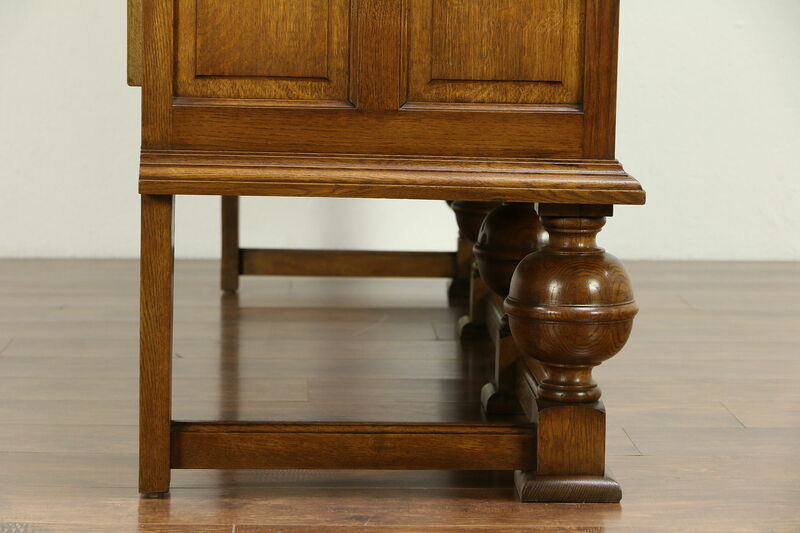 Waxed and buffed, all that is needed to maintain the warm luster is an occasional wipe with a soft dry cloth. 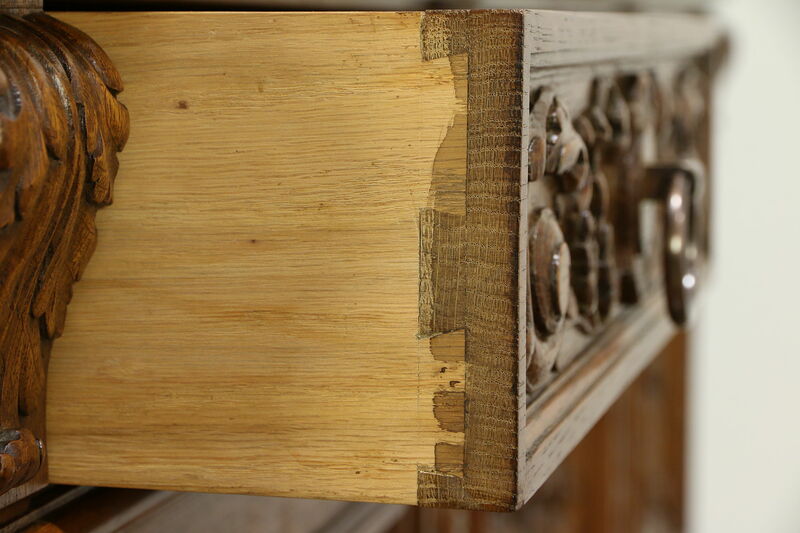 Doors have working locks, drawers have hand cut dovetail joints. 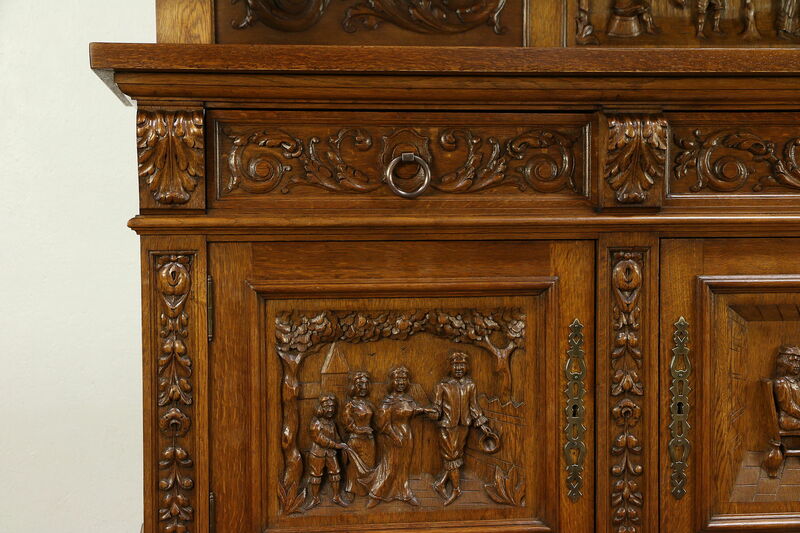 Side panels are raised on this superior quality cabinet. 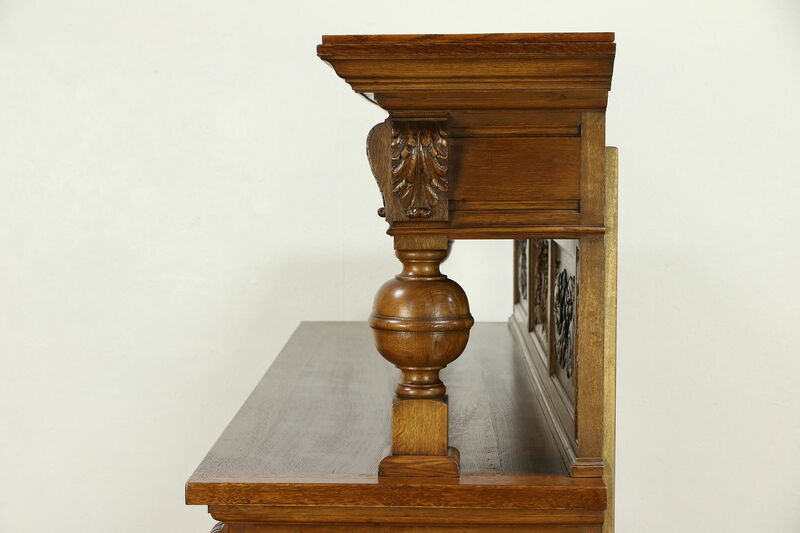 The gallery and columns are removable. 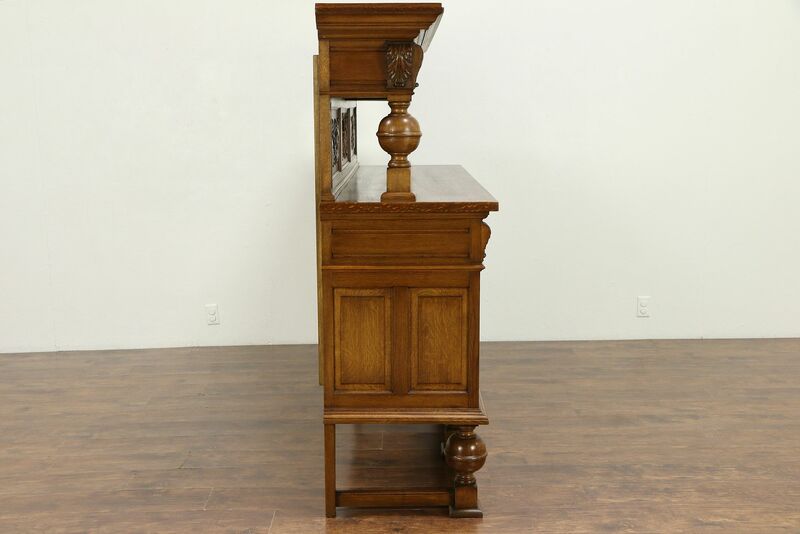 Measurements are 79" wide, 22" deep, 64" tall and the base is 41" high.